Does any of this sound familiar? A few days before I have to talk in front a lot of people, I get this queasy feeling in my stomach that won’t go away. I don’t want to eat. I just want to cancel so I don’t have to deal with the stress. My hands get sweaty before I get on stage. I feel like I want to run away. The fear of public speaking is one of the most common fears known to man. It’s a performance related fear, which the vast majority of people have suffered from at some point in their life. It’s said to rate higher than the fear of death! 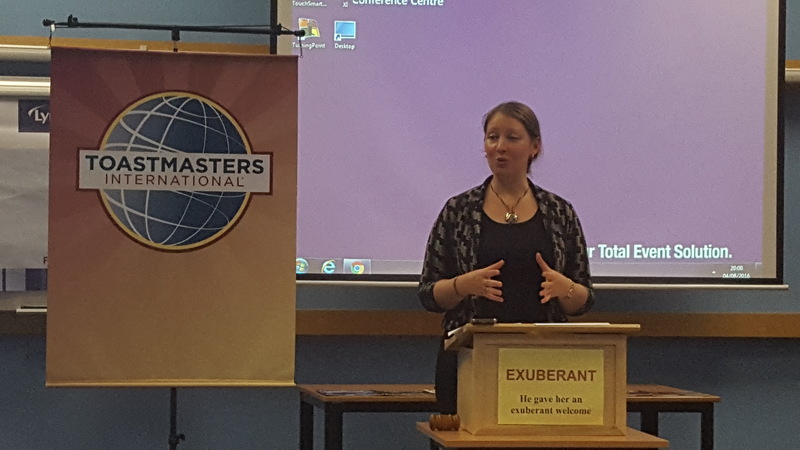 Well, this is one fear we can all do something about, at your local Toastmasters public speaking club, we can provide the safe and structured environment to learn and develop your confidence around public speaking. Come down this Thursday and see how we can help anyone, even people who believe they are fine with public speaking, there’s always room for improvement. Thursday 27th April 20117 18.45 Carnegie Conference Centre, Dunfermline. Opposite the Big Asda.